Advanced Bluetooth 3.0 wireless technology make the portable keyboard be compatible with not only the computer running Windows or Linux but also handhelds running Android, Window Mobile Pocket PCs, Symbian S60 Operating system, or Apple iPAD, Apple iPhone with above 4.0 OS. No worry for the safety, the mini keyboard Bluetooth is high security: protection for overcharge, over discharge, overloading, and short circuit. 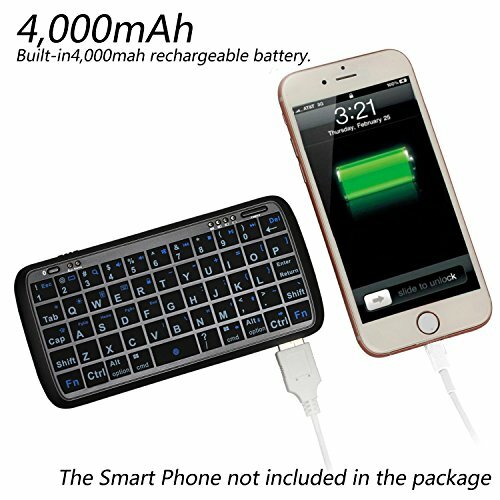 Mini Bluetooth keyboard is travel sized with a rechargeable battery, making it the perfect accessory for on-the-go smart phone users. If you have any questions about this product by eJiasu, contact us by completing and submitting the form below. If you are looking for a specif part number, please include it with your message.